LOVE is in the air! Valentine’s Day is weeks away but we can’t help but get ready for it! We live in sunny AZ and a short drive away is the huge red LOVE sculpture similar to our sign below. Our kids love to climb on it and we can’t help but snap a pic in front of it every time we visit it. 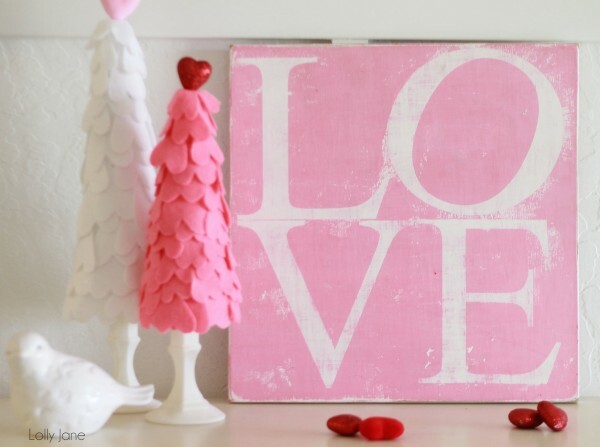 What better time of year to display this wooden LOVE sign? Just in time for VDay! 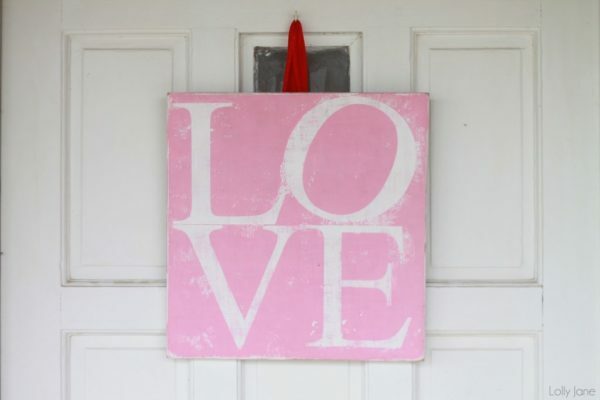 Here’s how we can show some love, with this darling LOVE Valentines Sign! Here’s the step by step to make your own! ♥After dry, apply vinyl stencil*. 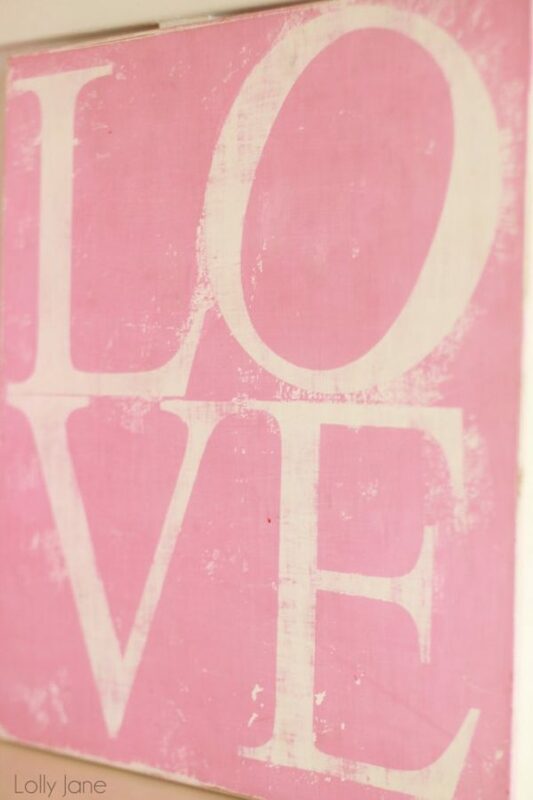 ♥Paint pink, peel off stencil. ♥Sand it down for an aged look. 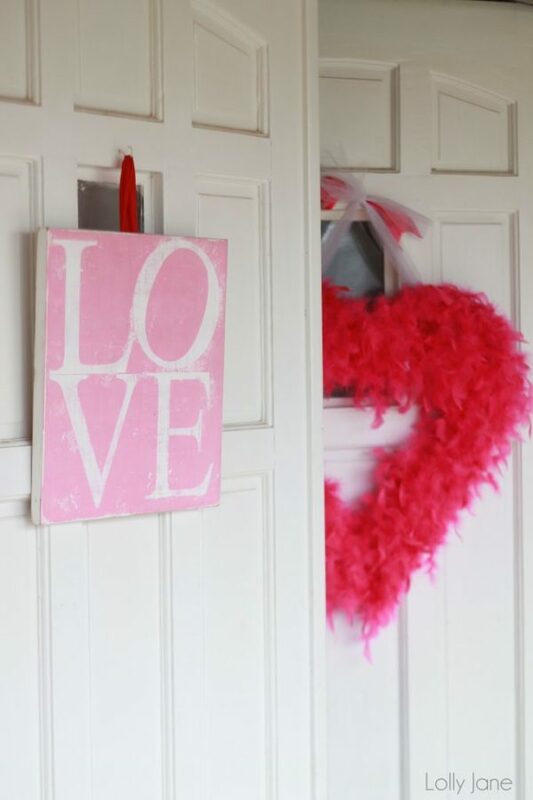 Looks great displayed with our felt Valentine trees OR as a door hanger paired with our feather boa heart wreath too! Find ALL our Valentine’s Day ideas here! We’re constantly pumping out tutorials and even a yummy recipe now and then! Love how you used vynil in a different way! Turned out so cute. I'm dying to know if you made the hurricane vase thing (sorry don't know real name!)? Or where you bought it?! pleeaaasse can I have that plaque. Uh-mazing! Oh this so cute and I have everything to make it. I even have a cricut and the vinyl. I just found your blog from Gettin Your Krafty on. I am now a follower. I love the weathered look! So, so cute! Thanks for linking this up to Gettin' Krafty With It! I am so making your love sign. It is perfect simlicity! I am also filing this at thecraftersfilebox.com. Thanks for sharing and Happy Valentine's Day! Hello ladies! Love this! Also FYI: I posted about you two over on http://www.SweetRoseStudio.blogspot.com! We still need to get together soon to hang out/have a playdate! Oh my new favorite blog! Fabulous!!! Thanks so much for linking up to my party this week and for the comment LOVE! Have a great week! OOOO…I LOVE this! The whole display is SUPER cute! This is such a great decor piece, love the 'chalky' white. Beautifully done! What a great little shelf! That picture is adorable. Oh, and I'm your newest follower! Very sweet! I love your mantle … in my house there are three little boys so there isn't much pink around here – you've done a beautiful job! 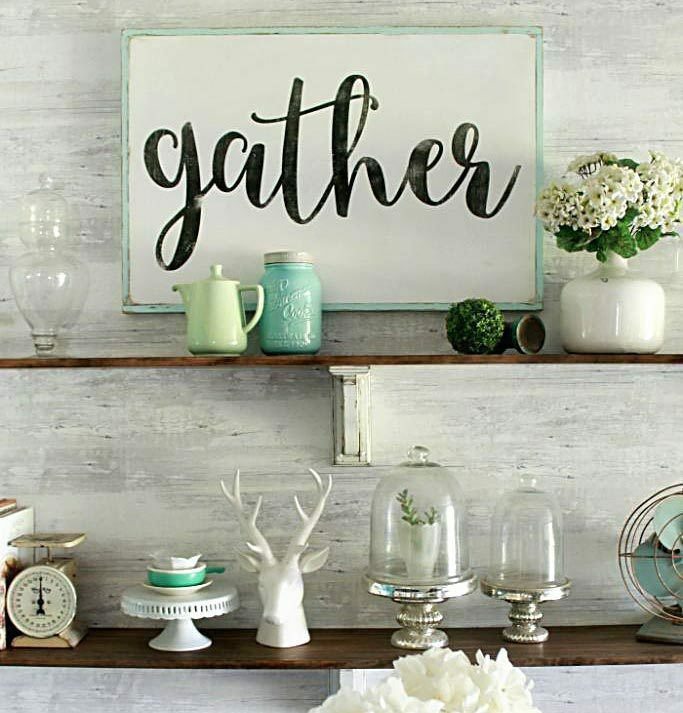 Where do you get the pine wood and the vinyl letters? Where do you get the pine wood and vinyl letters?